This sunny splash of freshness and fragrance is the ultimate gift to warm their heart! 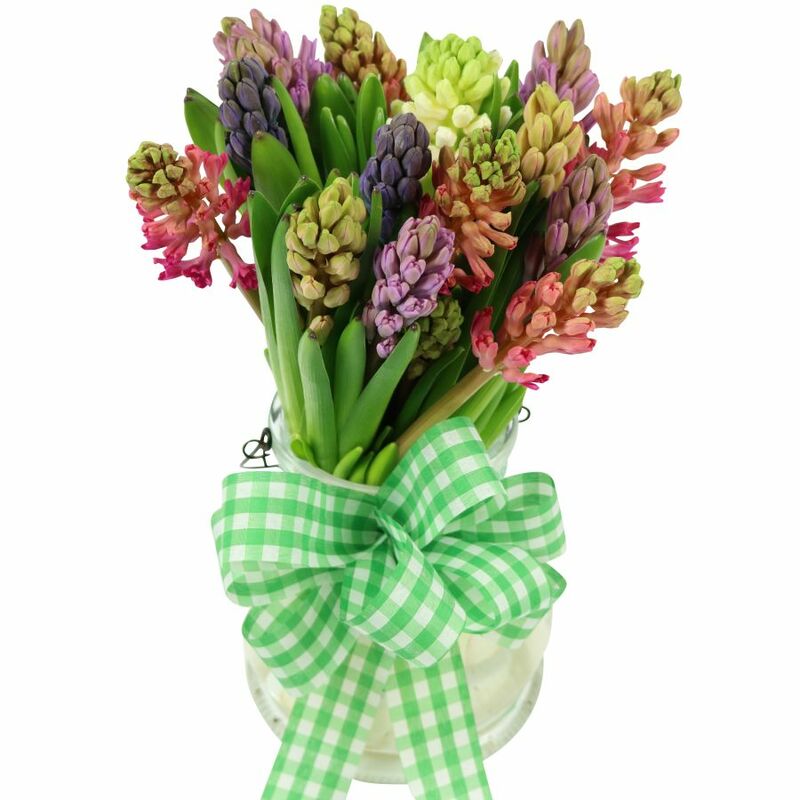 A colourful mix of hyacinths which is suitable for any festive occasion. An impeccable arrangement, to be sure. I was rather happy with the results, as the flowers delivered were as described, the price was good as well. Was delivered this morning. As I was not at home, they left it with my neighbour. Pretty convenient service. Thanks. Very fragrant and beautiful arrangement!